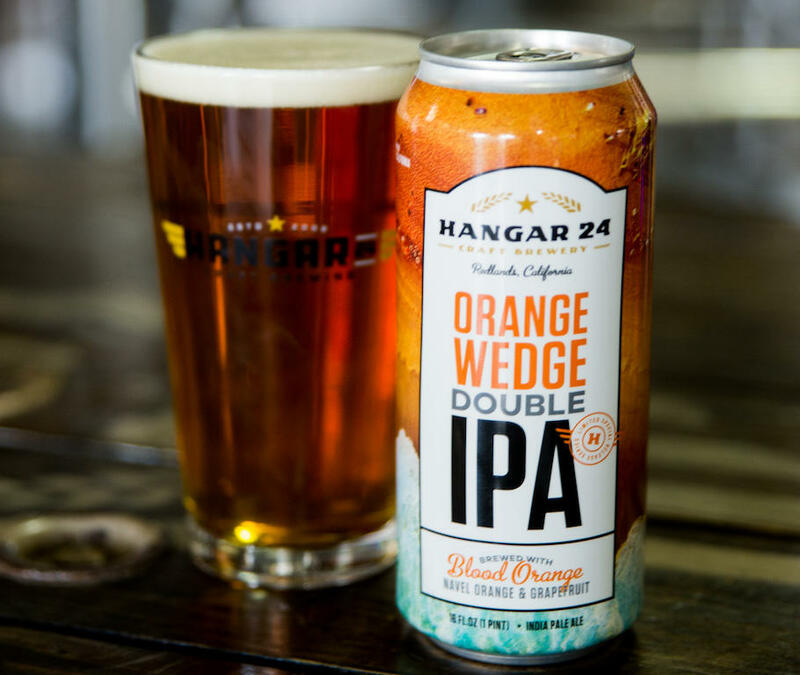 Hangar 24 Brewery in Redlands is one of the Inland Empire's more established craft breweries. California's craft beer industry continued to expand in 2018, but at a slower rate than in recent years. There are craft breweries in cities all over the Inland Empire. As Capital Public Radio's Randol White explains, just a few regions are seeing the fastest growth. California now has nearly a thousand licensed craft breweries, up from just a few hundred in 2012. The California Craft Brewers Association says the industry contributed more than eight billion dollars to the economy last year. Based on brewery licenses issued by the state [California's Alcoholic Beverage Control], the Los Angeles area - including Orange and Ventura Counties - saw the greatest expansion with a net gain of 24. But that's down from the growth seen in the region the year before. Leia Ostermann Bailey is the association's managing director and says the slowdown was expected. BAILEY: "We're looking at this as kind of a normal growth process for a small business industry. And right now, where craft breweries are succeeding is locally and in their neighborhoods." The Sacramento regions saw the next highest net growth in licenses, with 17 new breweries. Napa and Sonoma Counties came in third with eight. Some areas saw a decline, most notably San Diego County where there were three fewer licensed breweries. San Diego also has the second highest number of craft operations in the state, with 175. A bill headed to Gov. Brown would allow California colleges that teach brewing to sell the beer they make. The proposal builds on laws that already let schools raise funds selling wine they've produced. Capital Public Radio's Daniel Potter has the story. The craft beer movement has exploded in Southern California, and brewers are using more locla ingredients. Could this be the reason a Rancho Cucamonga couple decided to turn their back yard into a hop garden? Jeff Baker, host of KVCR's Sunday morning radio feature "Savory Road," has more. You can hear Jeff Baker host "Savory Road" -- a weekly radio feature exploring the culinary culture of the Inland Empire -- every Sunday morning at 7:35am and 9:35am during NPR's Weekend Edition Sunday on 91.9 KVCR. You may soon be able to buy a bottle of your favorite craft whiskey when you visit a distillery tasting room in California. Capital Public Radio's Katie Orr reports on a bill that advanced in the Legislature yesterday (Tuesday).